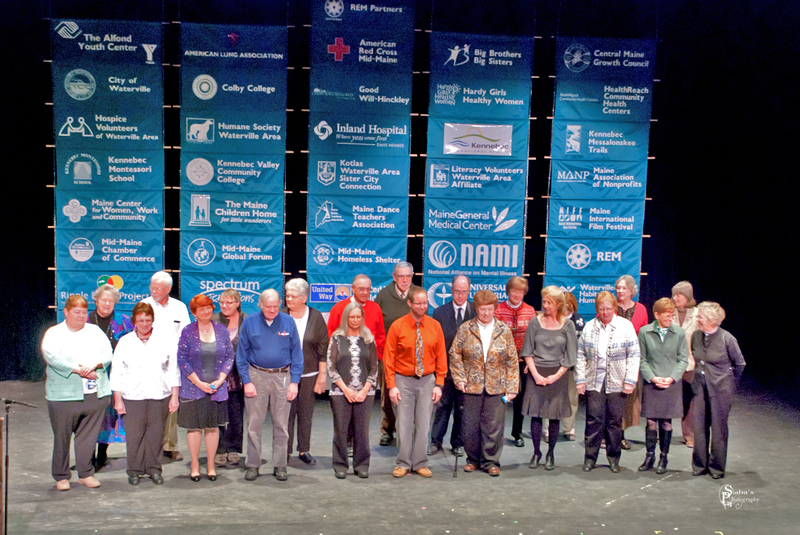 The 2015 honorees and previous year honorees stand on the stage at the Waterville Opera House. Photo by Trenetta Saba. REM’s Annual Community Awards honor our region’s many volunteers, the unsung heroes who selflessly give their time and talent to aid our many local nonprofit organizations and improve the quality of life for all the people of the Waterville Area. The awards ceremony also includes performances by local actors, dancers, and musicians. The 2018 REM Awards ceremony took place on Saturday, April 21 at the Waterville Opera House. The date for the 2019 ceremony is yet to be announced. For now, please visit the links below to learn more about the REM Awards. The list of previous honorees includes links to their photos and award citations.